A woman has certain special nutritional need during pregnancy – for her unborn child as well as for her own health and wellbeing. 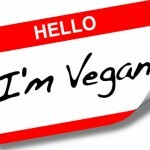 So is a vegan diet adequate for those special needs? Since meat, poultry, sea food and dairy are taken out of the diet equation, will the mother and unborn child get the requisite amount of protein, iron, calcium and other nutrients in adequate quantities? Even the most committed vegan may have concerns about nutrition during pregnancy and later during lactation. Iron and vitamin B-12 are found in fish and meat and are important during pregnancy. So this could be one concern. Vitamin D, found in meat, eggs and fish can be concern as well. Then there is calcium – dairy is a good source of calcium, so this can be another concern. Calcium intake is very important during pregnancy, because the mother’s calcium resources can get depleted during this time. Protein intake is another concern for pregnant vegan women. 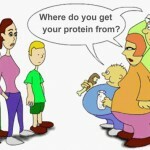 The easiest way to consume protein is from meat, fish, and dairy, egg and poultry products. So it follows that consuming sufficient protein from a vegan diet may be a cause for concern too. There is also the fact that pregnant women tend to have various cravings. 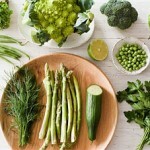 Nausea may also makeproper nutrition more difficult. 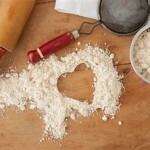 This makes the right nutrition even more important. Balanced Meals: Research has shown that there is no reason why vegan women cannot continue to eat a vegan diet throughout pregnancy and breastfeeding. However it is important to have a varied and balanced diet that concentrates on nutrients rather than calories. Have natural produce and nutrient dense, whole foods as far as possible. 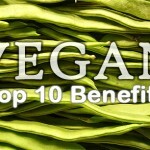 Protein: Beans, whole grains, soy product and lentils are good vegan sources of protein. 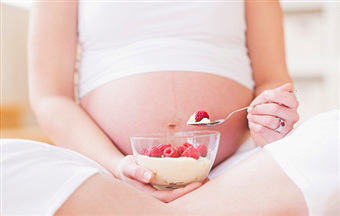 Intake of these foods may have to be increased during pregnancy. Other Nutrients: Adequate exposure to sunlight may take care of vitamin D requirements. A variety of fresh fruit and veggies – particularly darkly pigmented and leafy green veggies will take care of several nutrition needs. 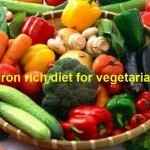 Additionally foods fortified with calcium and iron can be added to the diet as required. Supplements: All pregnant women, regardless of their diet are advised to take a folic acid (folate) supplement as early in pregnancy as possible. In addition, many women may require calcium supplements, iron supplements and Vitamin B 12 supplements. The right dosage and type of supplement can be recommended by the health care provider looking a woman’s overall health and her diet.